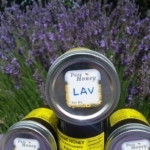 Summer Flower is sweet, savory honey derived from the nectar of some of Arizona’s most popular flowering desert plants. Enjoy Summer Flower Honey as a sweet addition to your morning smoothie or drizzled over your favorite summer salad. 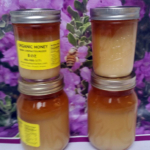 Amazing honey in purity and taste. I had no idea that honey this good was even possible. Please keep up the great work with your bees. These bees are probably actually happy because they are making beautiful honey! I truly love honey for the first time in my life.